I was thinking of selling my 15 2lt and getting a Grand Sport. Unfortunately there are so many C7s' out there my trade worth is less than desirable and to retail myself would be tough with new 16's going for close to my private party sale. Some are less than 50k now and GM is not helping our values. Love my car but less than happy with how values are holding. Guess Ill keep it. I love it and would not be able to replace it for what Ive got into it. The results below in the attached pdf file clearly shows the 2015 base models selling at auction now in the mid $40's ($45,000) all with relatively low mileage. Many 2015 Z51 in the high $40's to low $50,000 price tags. These C7's are in top condition and not bringing in very much $$$. Of course, these are wholesale auto auction prices, so most likely dealer purchase with markups on the retail side of $3000-$5000 over the auction prices. Data is the last 6 months of auction sales. This data provides a good idea of where prices are heading. Last edited by Steven Bell; 10-26-2016 at 11:56 PM. Reason: No need to re-quote the OP, especially if you're the next person posting. I guess I don't get the GS craze. I have a Z51 which I've made my own, headers, side skirts, etc. I could never ever drive a Z51 to its limits on the street or at the track for that matter. At one time the C7 Z51 used to be considered a track beast and now all of a sudden it's yesterday old news. The car will still out perform 99% of the cars on the road. Enjoy what you have and make it your own!!! It's a gorgeous car. Good news for those looking to get into a Corvette, and obviously not so good for those looking to sell or trade. Although in my area they are still commanding top dollar. For now I just am enjoying ownership and will deal with values when I decide to move on. C7 Values are not "tanking". ...and when does any dealer give you a "desirable" trade figure? Spend little time looking at the depreciation data on any car w/ an MSRP over 50K, including Audi, BMW, Jaguar, MB, etc. The C7 is actually doing very well in comparison. I was given $47k as a trade value onmy 2015 1LT with navigation and about 7k miles. That seemed fair to me. Anytime an automaker starts with incentives and discounts on the out going model year values on the used market tend to tank. What this shows is you should wait until the third or fourth model to buy if you are value conscious. When I traded in my 2014 they pulled up the auctions and offered me auction value. I said I couldn't do that so they offered me $2K over auction value to make the deal. So I ended up getting Auction value + $2,000 + extra 7% in tax savings ... that amount turned out to be what dealers were asking used or on eBay ... so I took the deal. Plus letting dealer handle everything and not selling privately does have some value. Keep in mind also when trading you have to look at both sides of the deal ... Dealer can charge you MSRP for new car and give you crazy high Trade in value. Or they can give you crazy MSRP discount but crappy trade-in value. Last edited by dmhines; 10-25-2016 at 09:22 AM. I just bought my 2015 3LT Z51 last week, 6k miles, paid $54k. I tried hard to get one close to 50 and couldn't with the 3LT interior, could have with the 2LT. You think c7 values are tanking, look at the c6, the dealer only gave me 21k for my 2009 Z51 3LT, that is closer to tanking, if you ask me. I recently inquired about trading my 2016 Z51 1LT with 4300 miles for a 17 GS. The dealer only wanted to give me 46k for mine. I am good with keeping mine if that is all they will give me. That's not bad. That might mean I could get 50ish for my 1LT vert with nav. I could still get into a 1LT vert GS for around $20k out the door including taxes. Not that I'd do it at this point, as I don't think it's worth doing. GS isnt enough of an upgrade to bother. Maybe if they bumped the power level. 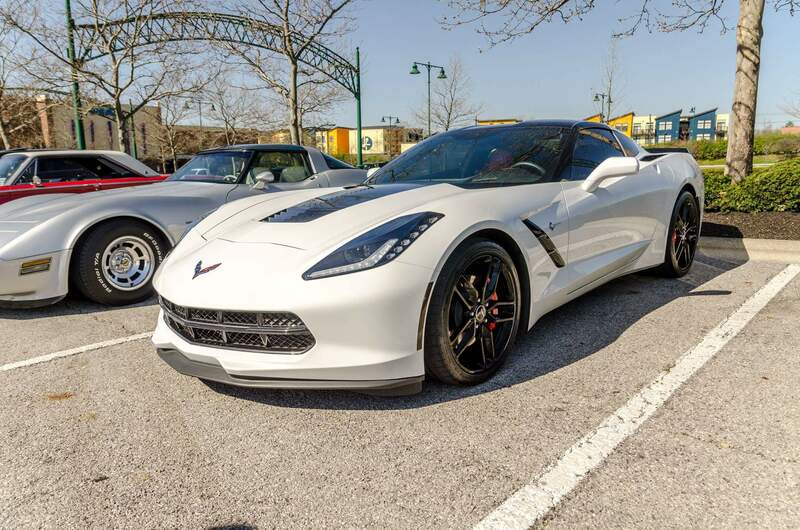 If depreciation is the only factor on these C7's than the above auto auctions are reflecting a 15% annual depreciation rate on a 2015 C7 base or Z51. I am not sure what CF members think the depreciation rate might be on an annual basis. I know what my MSRP was and know what the auctions are settling for. My MSRP was $64,000 and auction pricing is about $45.000. I suspect slower auto sales and a slight saturation of C7's in the marketplace are also a reflection of the auction pricing. When mega-dealers like Kerbeck are offering 12 to 13.25% off MSRP for 2017 MY's we have to understand sales on the C7 are slowing. Last edited by nmvettec7; 10-25-2016 at 09:37 AM. On my 09, I went to 3 dealers, trade offers varied by $3500 from lowest to highest, so you may shop it around. And I was offering the exact same for their cars, so it wasnt one of those "sure we will give you more for your trade (and add it back in on the new price)"
I just purchased (Saturday) a new '16 1LT Convertible that had an MSRP of $65,980. The dealer discounted the car $6000 and I received an additional 10% off ($6598) for it being a Bonus Tag car. Even with the $12,598 reduction of the MSRP that I received, I have seen nationwide, even better deals on leftover '16 Vettes. So, it is no wonder that the trade in values are low. As we all know all cars depreciate rapidly as soon as you sign the paperwork! Just enjoy what you have or prepare to take the hit! I also think about selling mine from time to time. I checked how much money i would probably get, and said screw it i will just keep it. Not interested in a GS. I love what I have, 2015 2LT A8 but I sure would like to know what that nice late 80's silver C3 is going for. I don't know about everyone, but for the guys in our Corvette club it seems to be all about the wide body. They are not after extra performance. They just think the Stingray does not look right unless it has the wider stance, brake ducts, etc.... The GS is a way to get the body without having to make the jump to a Z06. The GS was intended to be a compromise for those that could not afford the Z06, but you can easily pay as much for a GS. Last edited by TEXHAWK0; 10-25-2016 at 10:19 AM. Car depreciation is a loss of some % of original price each year. Rule of thumb i've heard is 10%. Taking 10Seconds918's example of a 2009 only valued at 21k, i'll have to assume purchase price. Maybe $55,000? 8 year old car, so take 0.9^8 = 43%. 43% of $55,000 purchase price equals $23,676. Dealer cuts a bit off the top to clean and resell. Without knowing many details, 21k sounds at least reasonable. This is why I special ordered my 2014 Stingray 2LT only. I could not see paying an extra $20,000 to $25,000 in options, and I kept the price around $55,000. In fact, the base price of $51,000 went up $2000 after mine was ordered, and I still got the original price. Last edited by TEXHAWK0; 10-25-2016 at 11:14 AM. "GM is not helping" -- how so? How should GM be "helping"? What kind of "value holding" were you expecting from a regular production GM car? We've been down this road. As with EVERY new gen of Corvette, the first year or two is the worst as far as short/medium term value goes -- prices are at or above MSRP due to initial high demand. A few short years later, things are back to normal, with all GM discounting available, and pop goes the little bubble. First ones in get hit hardest. But they also got to play with the newest toy first!